Students at Shorewood and Shorecrest High Schools will walk out at 10:00am on Wednesday, March 14, 2018 in solidarity with the victims of the Parkland Shooting and in support of Washington SB 5050. The bill would ban the manufacturing and sale of assault weapons and large capacity magazines in the state of Washington. Students plan to stand in solidarity with the Parkland students for 17 minutes outside of their schools then march to King County District Court. As a parent, I am fully supportive of our students walking out. Our schools are not safe due to weak gun laws. We need to raise the age to purchase weapons to 21. 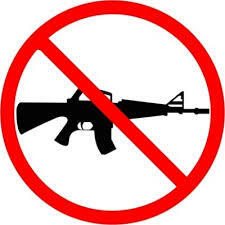 We need a ban on semiautomatic weapons such as AR-15s. We need stronger background checks. We need more support for mental health. We need to eliminate private gun sale loopholes. We need funding for gun violence research. And we need to firmly tell our legislators that we are against any effort to arm our educators. Extremely proud of these Students that represent Shoreline School District, and the families of Shoreline who support them in their march. -signed a mother of 2 former Parkwood, Kellogg and Shorecrest students.